Connect your unit using USB, Bluetooth and Wi-Fi interfaces. Traffic content not available for all areas. Provides up to 1 hour of battery life. 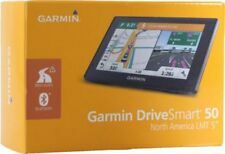 Garmin Drivesmart 55 & Traffic GPS | 010-02037-02 | Authorized Garmin Dealer! FREE TWO YEAR EXTENDED WARRANTY! 60 DAY RETURN PERIOD! By pairing Garmin DriveSmart 55 with your compatible smartphone, you can enjoy hands-free calling using Bluetooth wireless technology. 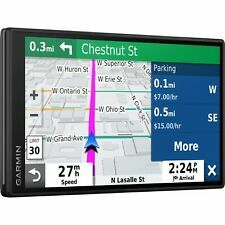 Garmin DriveSmart 55 & Traffic with I. Garmin Traffic is ready to use right out of the box — without use of a smartphone. Label: Garmin. Format: Accessories. Condition: new. We will do so too. We'll strive to resolve your problem. It runs on a lithium ion battery that is much more long-lasting than older nickel cadmium models. In case of a misspelling, Garmin DriveSmart provides multiple search results that sound similar to what you’ve entered. Display diagonal: 14 cm (5.5"), Display resolution: 1280 x 720 pixels, Display: TFT. Supported radio bands: DAB . Form factor: Fixed, Product colour: Black. Part Number: Garmin 010-02037-13. We are the Hi-Tech Lovers. Display diagonal: 14 cm (5.5"), Display resolution: 1280 x 720 pixels, Display: TFT. Form factor: Fixed, Product colour: Black. Power source type: Battery, Battery technology: Lithium-Ion (Li-Ion), Battery capacity: 820 mAh.